A Hunter in Perth, Australia, photo is from The Worst Of Perth blog. The link should be to here by the way. 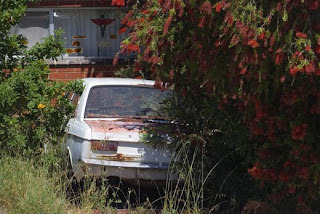 You may also note that this car is now gone, presumably to the wreckers, but the flowering Bottlebrush tree is still with us.